Oh how my kids and I love Fall, from Thanksgiving dinner to long walks admiring the orange and brown leaves, to sitting at hot fires eating toasted marshmallows, to watching fireworks and of course PUMPKINS! I just had to share my favorite Thanksgiving Pumpkin Activities for Preschool especially since I have two kids of this age. Crafts are perfect pumpkin STEM activities that help kids learn and grow. They are great for fine motor, sensory as well as imagination and creativity. I have broken these down into 3 sections:- pumpkin crafts to make, sensory pumpkin activities and finally painting. I do plan on adding to this as I find new ideas of my own! 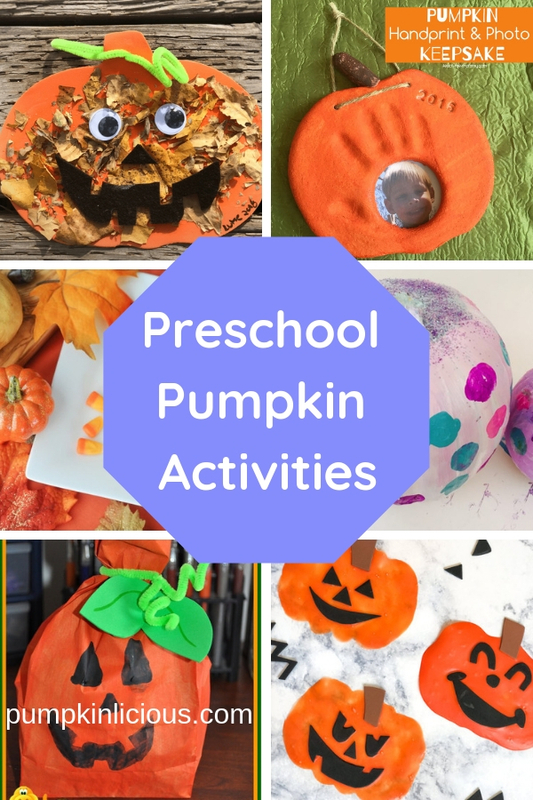 Preschool pumpkin crafts are easier to make than you think and most of them do not require many materials or adult intervention!! You can proudly showcase these as pumpkin décor in your own home! 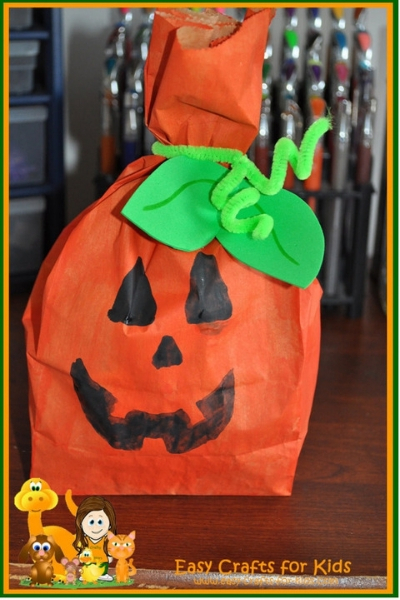 Up first is this cute pumpkin treat bag, which is so simple and cheap to make!! I can imagine using this to carry a bottle of wine around Thanksgiving as well as Halloween treats. 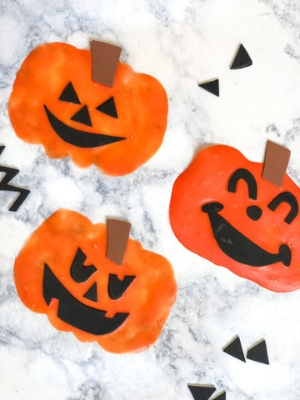 Easy Crafts For Kids makes this for all the little children who go trick or treating on Halloween night! They get a free bag as well as all their yummy treats. Guess whose house everyone will be calling at this year!! I hope she has plenty of time on her hands to make all these bags! I will not make this for trick or treaters as I live in the countryside up a laneway and no one ever comes to my door, but will use this instead of buying a Halloween pail for my kids! My little girl loves carrying a bag around so she would be thrilled to have her own pumpkin version, especially when it is full of Halloween treats. 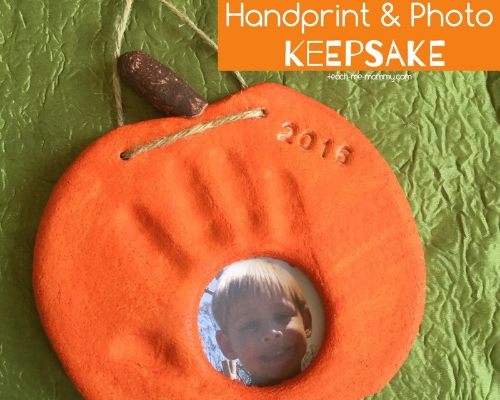 Who doesn’t love a handprint keepsake at any time of the year?! This Fall inspired one is such an awesome idea and perfect for pre-schoolers. I am so tempted to tell my kids Kindergarten so she and her Brother can do it this year. As you can see this keepsake from Teach Me Mommy is adorable! It is definitely something you would in a child’s memory box and give it to them when they are older. Unlike some of the other Thanksgiving pumpkin activities for preschool this ones does require quite a lot of adult intervention as the dough needs to be hardened in the oven, but your 3 year old will enjoy doing the handprint and watching you as you finish the craft! Foam pumpkin crafts are very popular for preschool age! There are so many different things you can do with them and they are super cheap! I will be stocking up on these this year and coming up with my own unique idea. 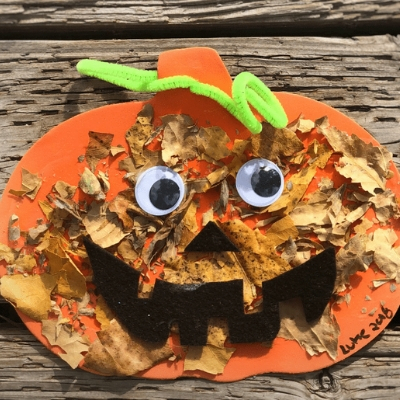 The Crazy Outdoor Mama got me interested in her Fall Leaf Crunch Craft for Preschool as I love crafting involving nature. Not to mention the fact this provides so many sensory, fine motor and learning opportunities, as well as getting the kids some exercise and fresh air. If you are looking for an excuse to get your kids running outside in pursuit of Autumn leaves this is for you. This gives them the perfect opportunity to burn off some energy whilst learning about the different colors of Fall leaves! This is also a great sensory activity as it stimulates sight and touch as they crunch up the leaves to stick onto their foam pumpkin. If the outdoors is not for you or you have no trees nearby you might like this foam craft Simple Everyday Mom has kindly shared. This involves making pumpkins and adding eyes, noses and mouths with glue. She has included a step by step video and some ways to make this a unique learning experience for kids. I love crafts with an element of learning because children get more out of it when they are having fun. Is your pumpkin happy or sad is one of the questions she uses encouraging children to think about feelings and emotions whilst studying each pumpkin’s eyes and mouth closely. I cannot wait to Fall comes around to make my own Pumpkin Sensory bin but until then I will tell you about one of my other favorite Fall activities. Mommy Evolution has a Where’s Wally Pumpkin Playdough Game which takes their sensory skills to another level. We know all kids love playdough but this has the added benefit of having the sweet scent of pumpkin spice (just make sure they don’t try and eat it). 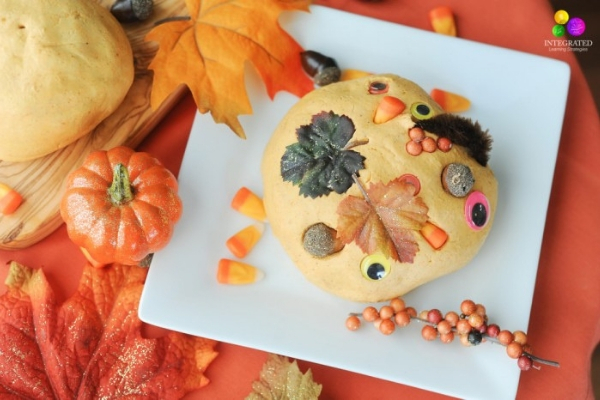 Unlike normal playdough this has corn, beads, acorns and other Fall objects mixed throughout. Kids are encouraged to explore the playdough and find all the missing objects. This is fabulous as it is not only sensory but a great opportunity to improve speech language development. You could also encourage them to sort the objects into piles and count them. When everyone thinks about decorating pumpkins, they instantly think of carving. 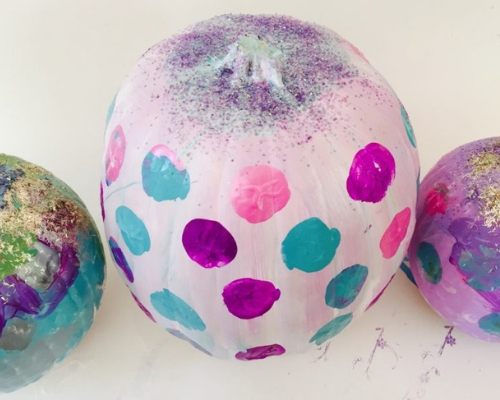 The good news is that you can make a pumpkin look fabulous without any carving, which means it is safe for preschool children to do themselves. I was so pleased to find marshmallow pumpkin painting activity, because my 3 year old loves marshmallows and loves painting!! This is so much more fun than doing it with a paint brush!! Glitter on A Dime is full of excellent ideas like this one. Polka dots are really pretty too and there is some glitter for good measure! Not only this but these pumpkins would totally fit into my white pumpkin décor theme I want to use for Thanksgiving this year!! 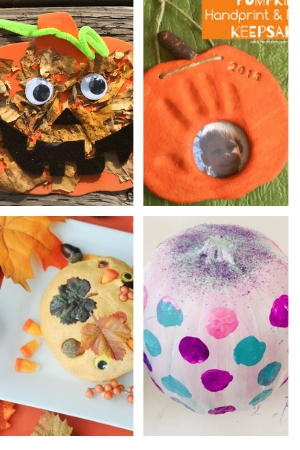 Which of these Thanksgiving Pumpkin Activities For Preschool will you do?